Two former Republican representatives who retired in 2018 have decided to stay in Washington, D.C., both joining a big name lobbying firm Monday. 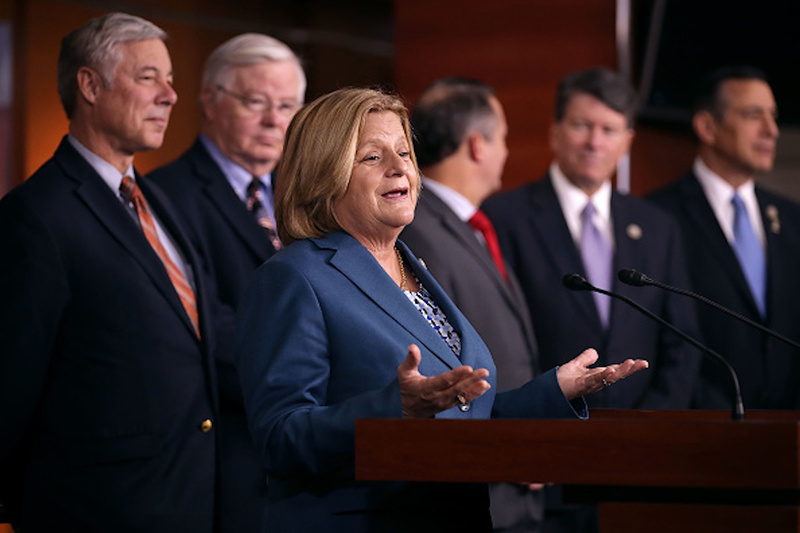 Ros-Lehtinen said she hopes to continue on the work she accomplished in Congress by working for the lobbying firm, mentioning trade matters and its domestic and foreign client base. Smith echoed a similar message, saying he is looking forward to working for the firm, mentioning Akin Gump’s ability to handle public policy and legal issues. “Beyond Akin Gump’s outstanding public policy practice, the firm’s lawyers and advisors enjoy an excellent reputation for having broad and deep skills and experience that enable them to serve clients on nearly any subject imaginable. The firm’s ability to address both public policy and legal issues allows it to achieve outstanding results for clients from all over the world. I very much look forward to working with a firm that has such a well-deserved reputation,” Smith said in the statement. Both Ros-Lehtinen and Smith announced they would not be seeking re-election in 2017.